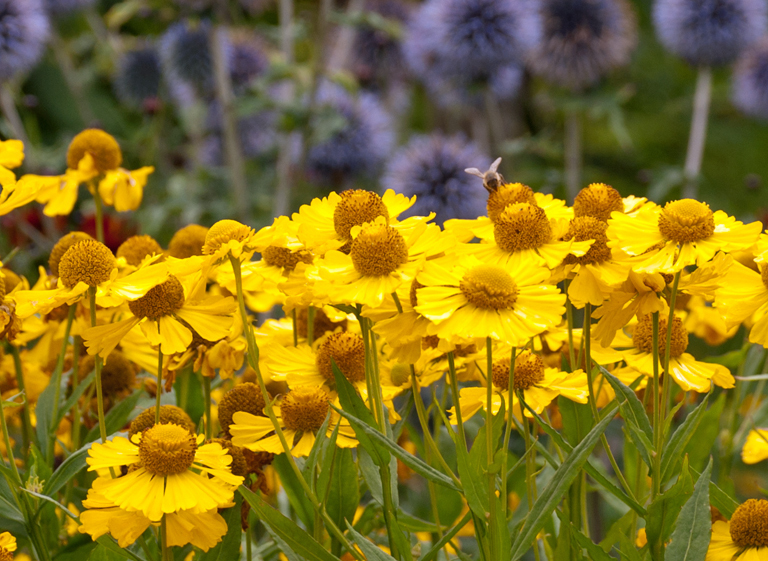 This month’s Garden Flowers post,which I write with Rona Wheeldon of Flowerona, features Heleniums. 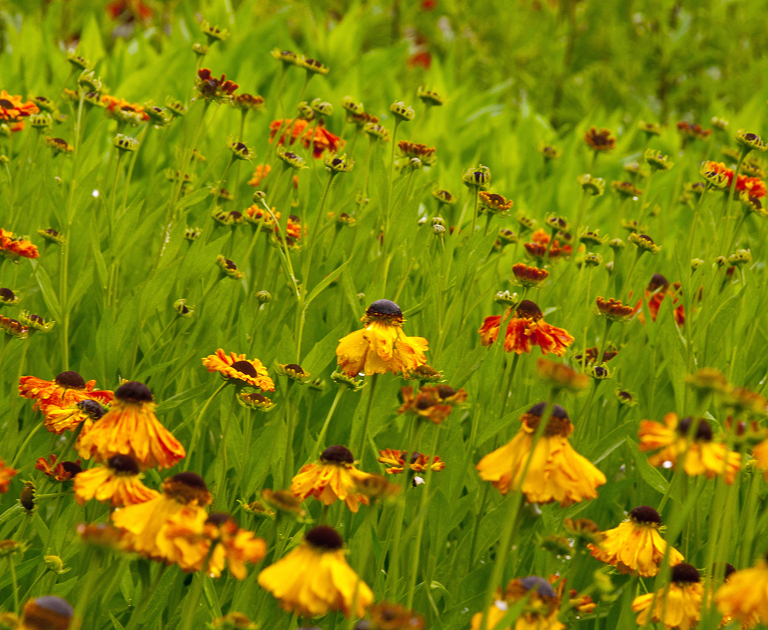 The flower’s common name is Sneezeweed which is derived from the false belief that they cause hay fever. 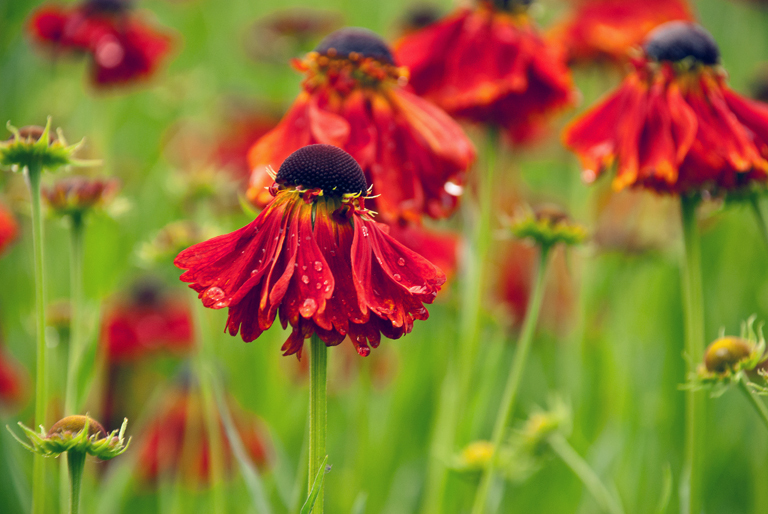 Heleniums bring long-lasting colour to your garden and the flowers are particularly valued for their bronze and copper-red tones. There are forty species in total and they need full sun to really thrive. Although they prefer moist soil, they will grow on more freely draining soil if plenty of compost or other organic matter is dug in before planting. 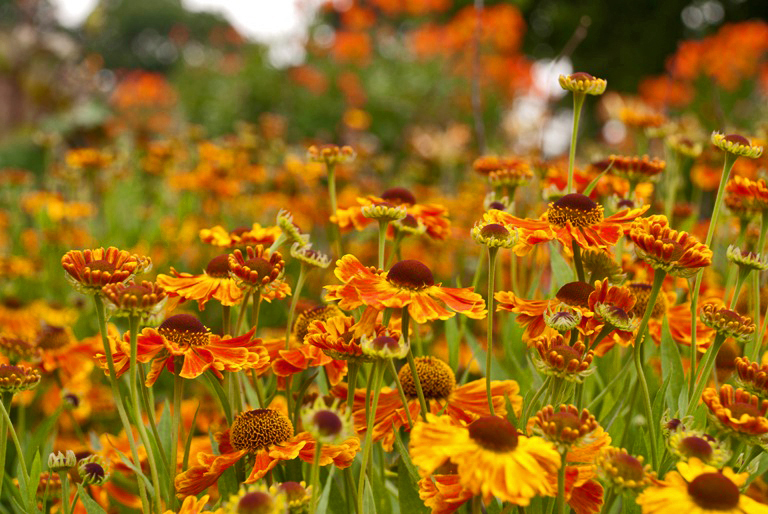 Heleniums are herbaceous perennials which means that they die back in the winter and reappear again each summer. 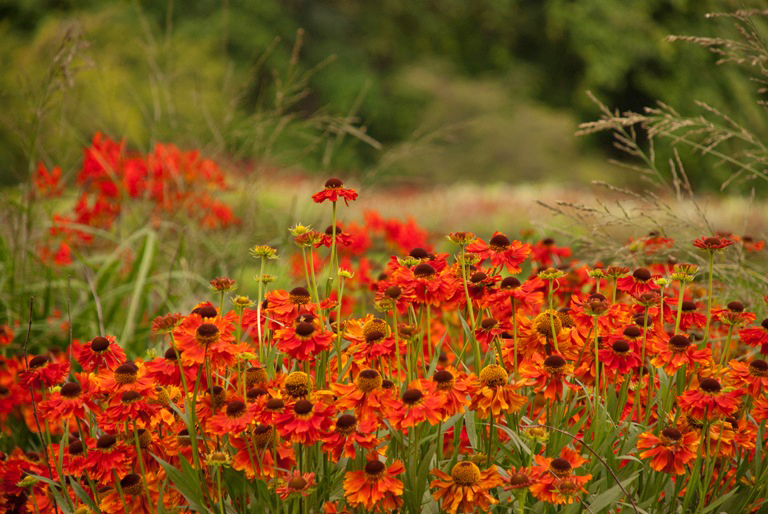 They look fantastic planted in swathes with other late flowering perennials, such as Crocosmias and taller varieties of Achilleas, such as ‘Cloth of Gold’. 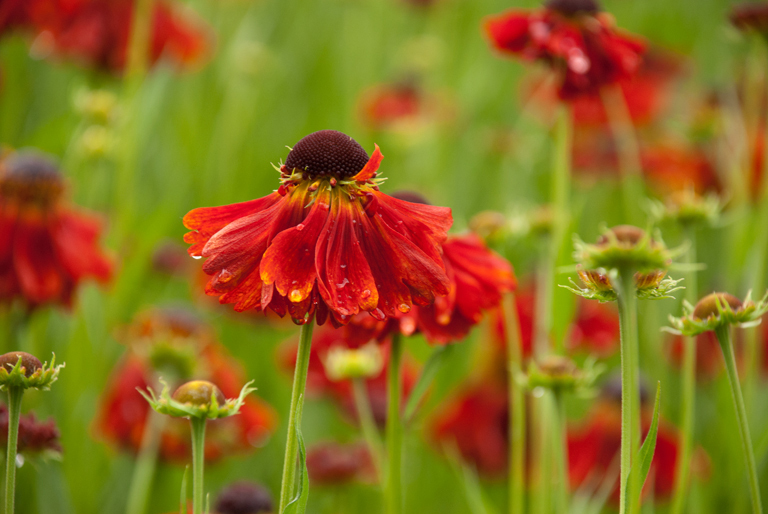 Some varieties begin flowering in early July but most, like Helenium ‘Moerheim Beauty’ appear in late July and early August, and often continue flowering into September and sometimes as late as October. 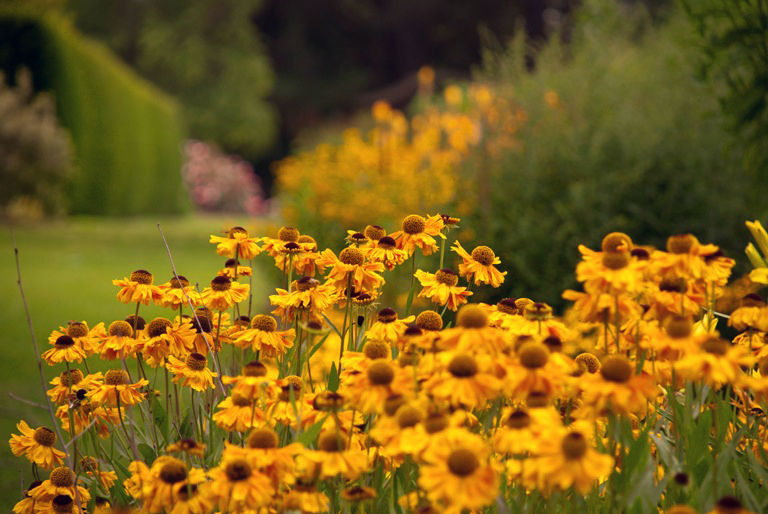 If you’re keen to bring wildlife into your garden then Heleniums are a great addition because their bright daisy flowers attract many insects, including bees. And now’s a great time to buy them because, although it’s not really planting season, you’ll be able to see them in flower and choose the colour you want. Remember too that they look best planted in swathes, so you’ll need more than one in your garden if you want to create an impact. Odd numbers tend to work best and, if you have the space, why not plant a few clumps to create rhythm and to lead your eye through the garden?